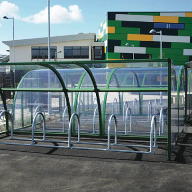 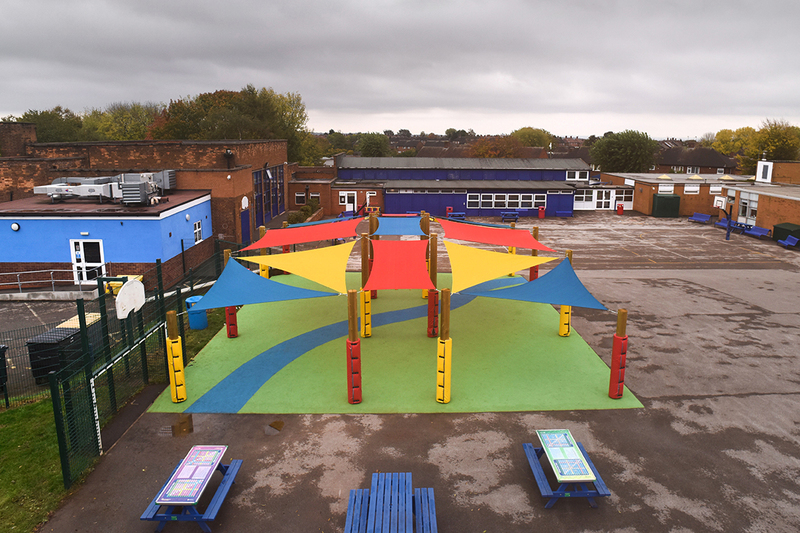 Broxap have produced a shaded outdoor soft play area for Djanogly Strelley Academy in Nottingham. 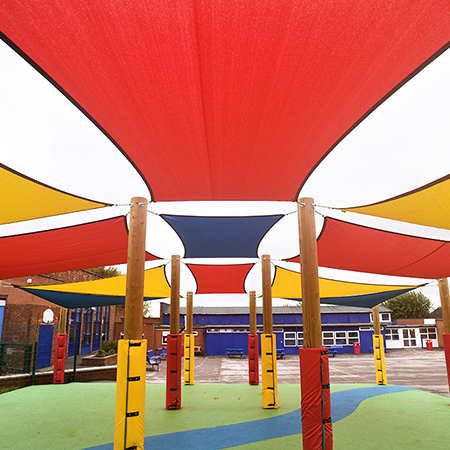 The academy chose a set of colourful shade sails suspended above an eye-catching surface. 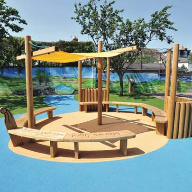 The soft play area was produced using green wet pour with diagonal style river of blue wet pour cutting through the middle. 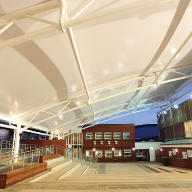 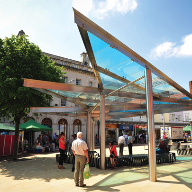 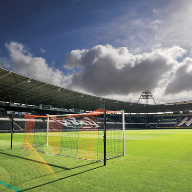 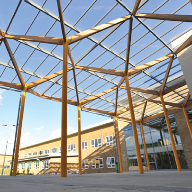 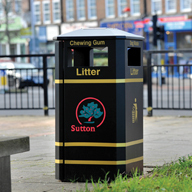 It consists of FSC® (FSC-C122338) timber columns with fixings for a series of different coloured shade sails. 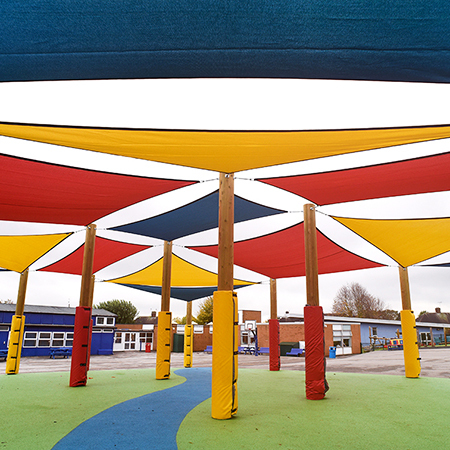 Chain work suspends the sails between the columns to make a striking and colourful covered area. 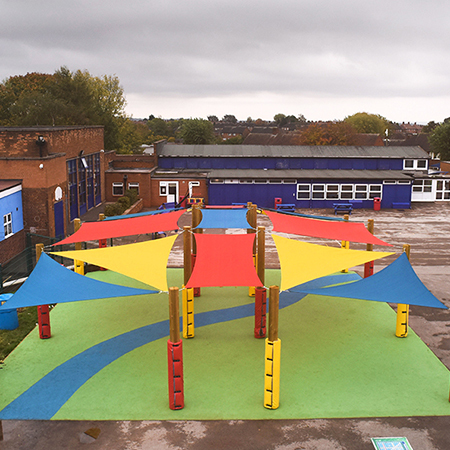 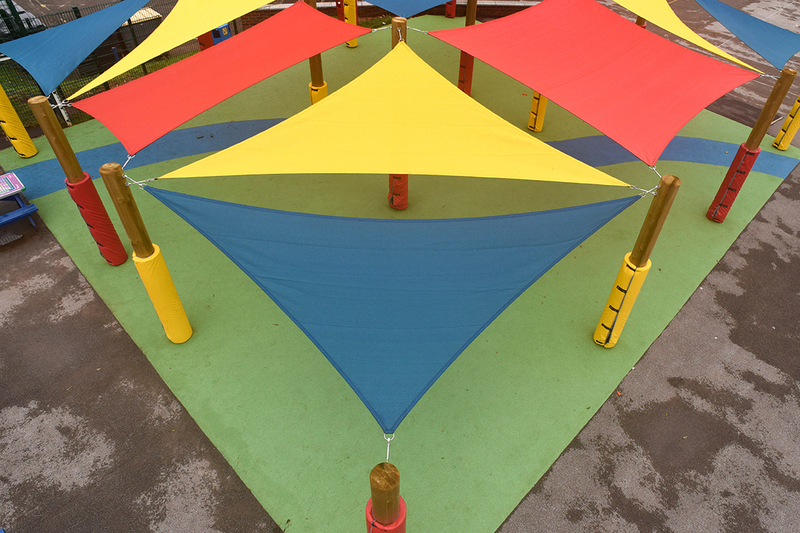 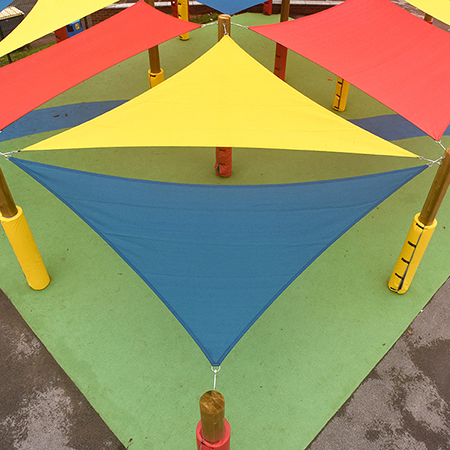 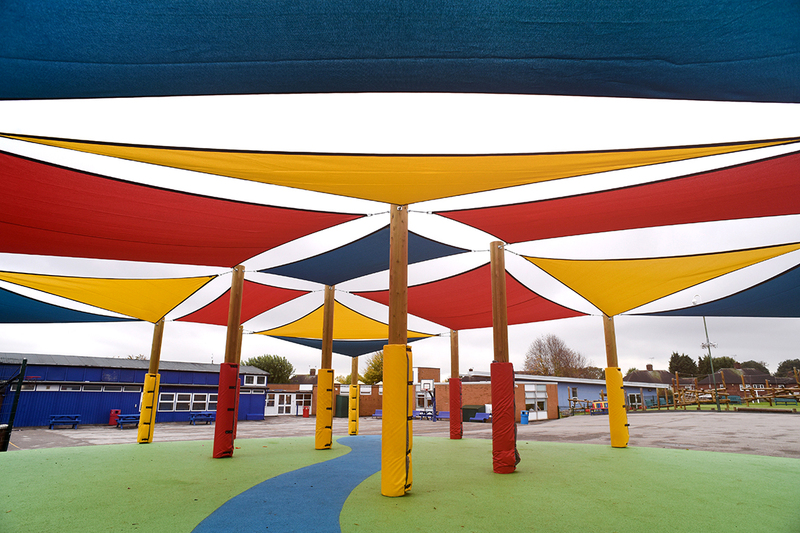 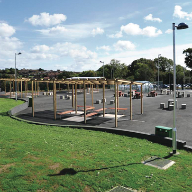 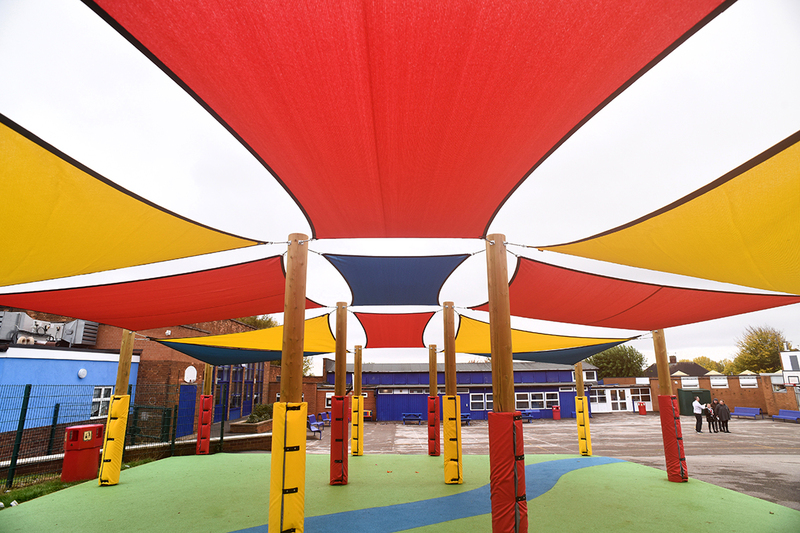 The outdoor soft play area was complemented by a series of bespoke Broxap canopies.